Your home is a natural extension of you. Add these innovative designs from Soflex to spruce up any decor. 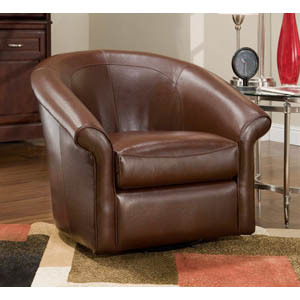 Features Dense foam Pocketed Coil Seating, Padded Arms and Back, Pirelli Webbing, Swivel Chair and Bi-cast Leather. Dimensions: 37in. x 32in. x 32in.